Amazon exclusive phones might be a new concept to some users, but they are immensely popular in the marketplace today. Amazon sells exciting handsets at just a fraction of their original cost, in return for the ability to run ads on your lock screen. Seems like a small sacrifice to make over a period of time, given that phones are offered with massive discounts. These Prime Exclusive phones display ads as notifications when there are other device notifications. But the ads take up the entire screen when you have no other notifications on your lock screen. Amazon also has a widget in place, which offers a detailed glimpse of your recent orders, and offers suggestions for new products accordingly. However, it seems like the lock screen ads are sent in random, so you would find a wide range of products popping up every now and then. Amazon’s idea here basically is to convert some of these customers into Amazon subscribers, thus increasing their revenue. 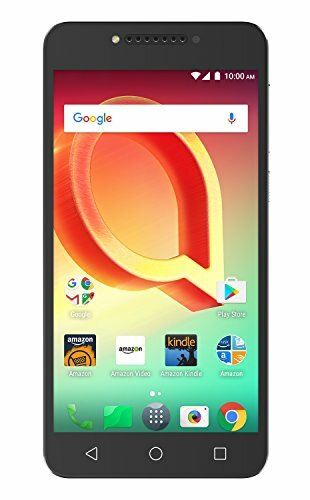 These Prime Exclusive phones also come with a handful of preinstalled Amazon apps like Video, Kindle, Music, Photos, Drive, Alexa, Audible, Prime Now, and others. However, since these phones are allowed to run Google apps, customers are more likely to use those apps instead. But it’s always good to have the option. So let’s have a look at some of the best Amazon Exclusive phones available right now. Remember that you need to be an Amazon Prime member to purchase these products. Moto’s 2017 mid-ranger the Moto G5 Plus comes with a fairly impressive hardware specs sheet under the hood. The device packs a multitude of new hardware, making it a worthy buy for interested customers. There doesn’t appear to be any noticeable differences between the phone’s original pricing and the Prime Exclusive pricing. As it stands, the 32GB version of the Prime Exclusive Moto G5 Plus will set you back by $184.99, while the 64GB model is priced at $234.99. 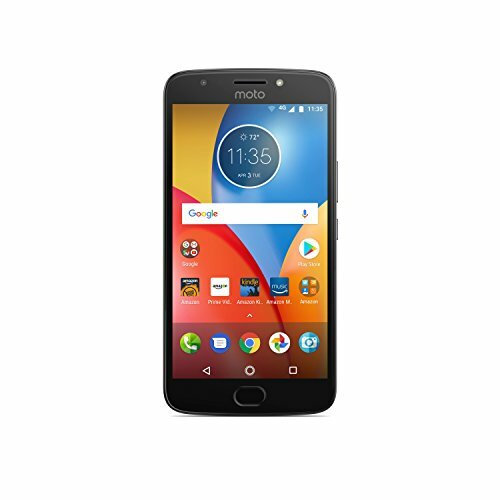 In terms of hardware, the Moto G5 Plus comes with a 5.2-inch 1080p display, a 12-megapixel rear camera, a 5-megapixel front camera, the octa-core Snapdragon 625 SoC, 32/64GB of expandable storage, 2/4GB of RAM, Android 7.0 Nougat, and a 3,000 mAh battery. The handset is available in Lunar Gray and Fine Gold right now, so you don’t have a lot of options to choose from. The Idol 5S was launched recently by the manufacturer, so it’s a relatively new product on the list of Prime Exclusives. The handset is compatible with Verizon, AT&T, T-Mobile, and Sprint networks in the U.S., so you don’t have to worry about picking a specific carrier. The phone comes unlocked, naturally. 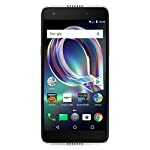 Amazon is currently charging $199.99 for the phone with lock screen ads. The standard variant will set you back by $279.99, so you end up saving quite a bit of money here. The Idol 5S comes with a 5.2-inch Full HD display, a 12-megapixel rear camera, an 8-megapixel front camera, 3GB of RAM, 32GB of expandable storage, the octa-core Snapdragon 625 SoC, Android 7.1 Nougat, and a 2,620 mAh battery. The phone also comes with a fingerprint scanner on the back, which brings it on par with the current crop of mid-rangers selling in the industry. 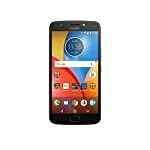 Amazon is only offering the product in Crystal Gray right now, so much like the Moto G5 Plus, there aren’t a lot of color choices on offer. 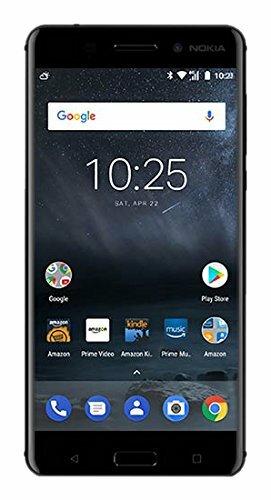 The Nokia 6 is an Amazon Prime Exclusive product in the U.S., although it’s easily available in other parts of the world. The smartphone marks Nokia’s comeback in the mobile industry, and is quite significant for the company (run by HMD Global). Although this is only a mid-ranger, the Nokia 6 has already made a big splash in Asian markets. The Nokia 6 with ads will cost you $179.99 whereas the standard model will cost you another $50. The phone is unlocked and compatible with all the top carriers in the U.S. The handset packs a 5.5-inch 1080p display, the octa-core 1.4 GHz Snapdragon 430 chipset, 3GB of RAM, 32GB of expandable storage, a 16-megapixel rear camera, an 8-megapixel front camera, Android 7.1.1 Nougat, and a 3,000 mAh battery. The Nokia 6 also comes with a rear mounted fingerprint scanner. These features coupled with the price tag makes for a very exciting combination. Be sure to check out the handset. 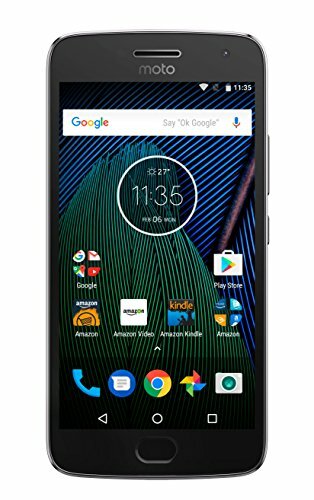 The second Moto phone on the list, the budget ranged Moto E4 Plus is a natural entry into Amazon’s list of Prime Exclusives. The handset is widely popular in Asian markets right now, and is selling decently in the U.S. as well. The retailer is offering the handset in 16 and 32GB storage variants priced at $139.99 and $159.99 respectively. Both variants come with 2GB of RAM by default, which is not a letdown given that this is a budget offering. The device is equipped with a 5.5-inch HD display, the quad-core Snapdragon 417 SoC, a 13-megapixel rear camera, a 5-megapixel front camera, and Android 7.1 Nougat. One of the major highlights of the phone is its gargantuan 5,000 mAh battery which can keep the device going for a couple of days at least. This aspect alone makes it one of the most attractive devices on this list, and also explains why it’s very popular in global markets. This particular handset is only compatible with AT&T or T-Mobile in the U.S., so your options are somewhat limited. Given the sheer number of handsets that Alcatel releases, it’s not particularly a surprise that its phones have appeared twice on this list, much like Moto. This is also the cheapest phones on this list, with a Prime Exclusive price tag of just $99.99. You will have to shell out $149.99 for the regular variant without lock screen ads. The handset is well equipped in the hardware department too, which is impressive given the price quoted by the manufacturer. With the A50, you will find a 5.2-inch HD display, a 1.5 GHz quad-core processor, a 13-megapixel rear camera, a 5-megapixel front camera, 2GB of RAM, 16GB of expandable storage, Android 7.0, and a 2,800 mAh battery. The fact that you’re getting an Android Nougat powered smartphone for under $100 makes this a very attractive product to own. Given that all the items here come with the same kind of ads, it always makes sense to go with the cheapest option.